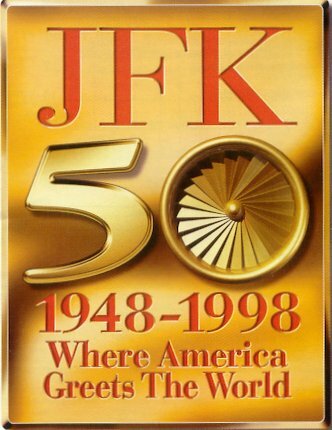 Almost 2 decades ago, on July 1, 1998, New York�s John F. Kennedy International Airport (JFK) celebrated 50 years of serving as the New York City region�s primary international airport. 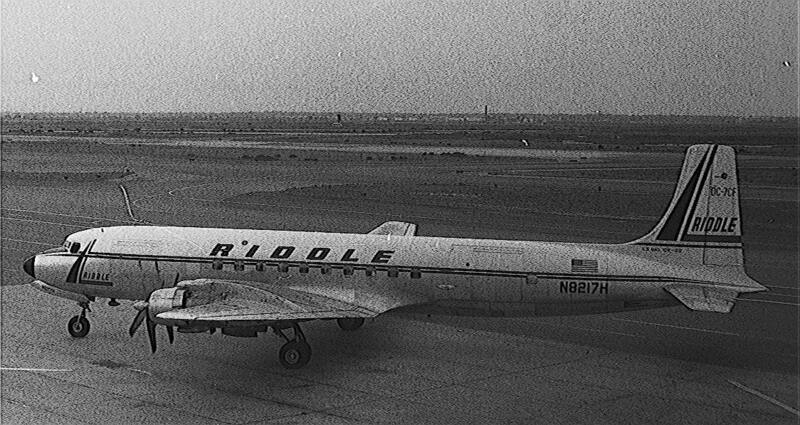 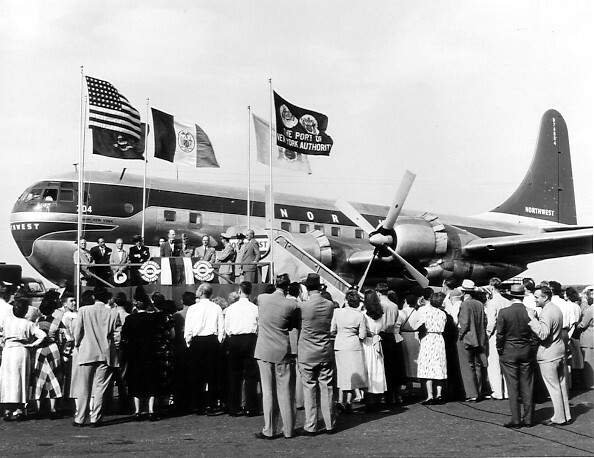 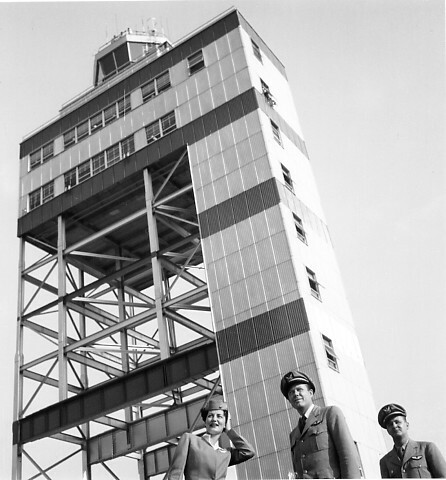 The airport opened in 1948 as New York International Airport, but was generally referred to as Idlewild (IDL). 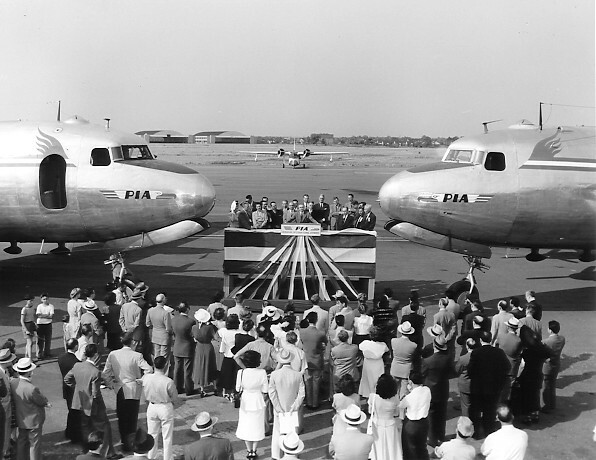 It is the newest of the New York region�s three major airports, and the only one to open since the Second World War. 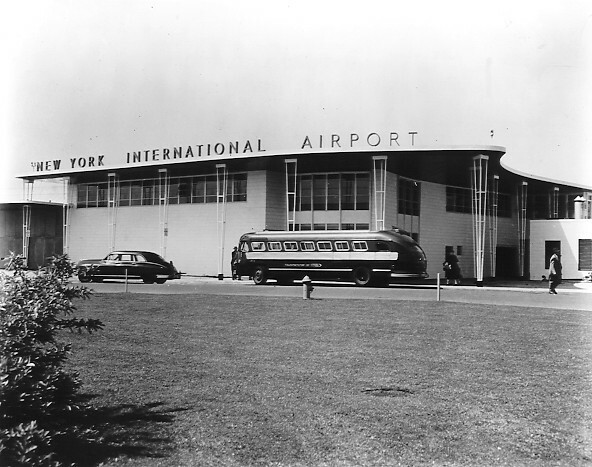 As the airport completes to be upgraded, it will continue to serve residents and visitors to New York for years to come. 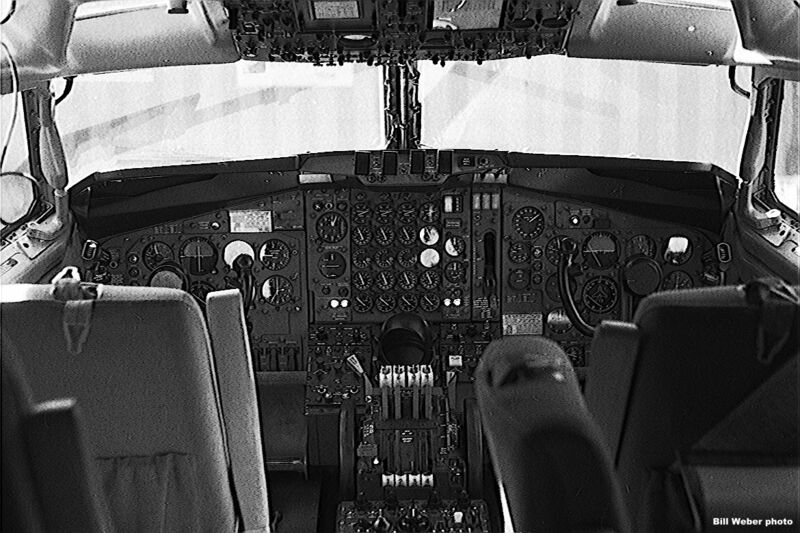 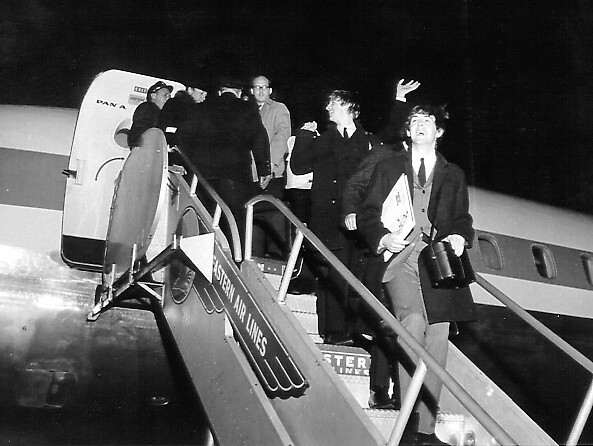 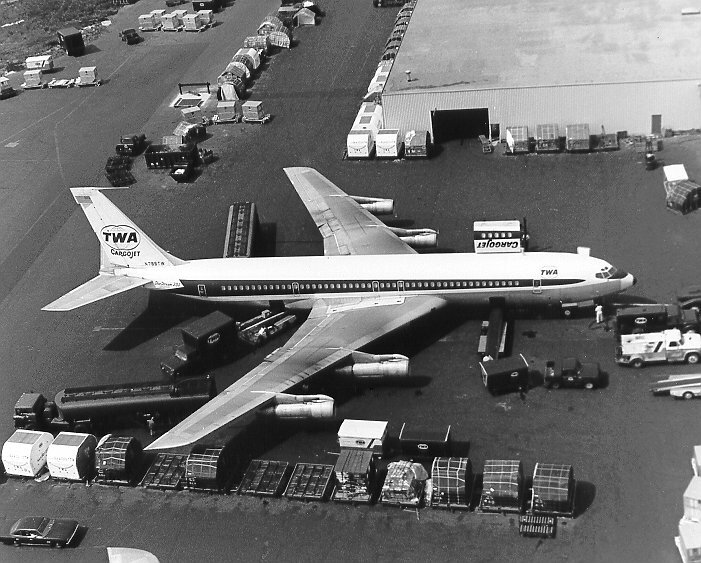 The development of airline transportation over the last five decades is reflected in the airport�s history. 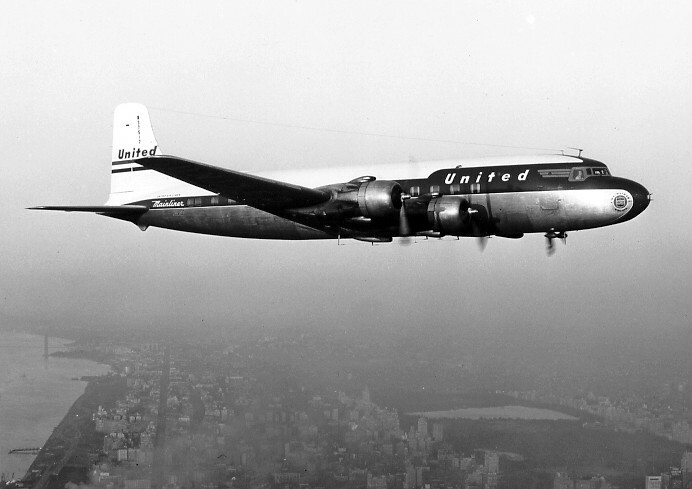 New York International Airport�s first decade coincided with the introduction of large piston-powered airliners, such as Boeing�s 377 Stratocruiser, into airline service. 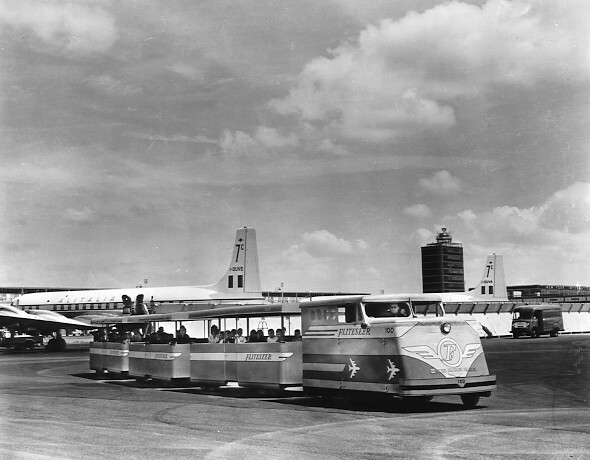 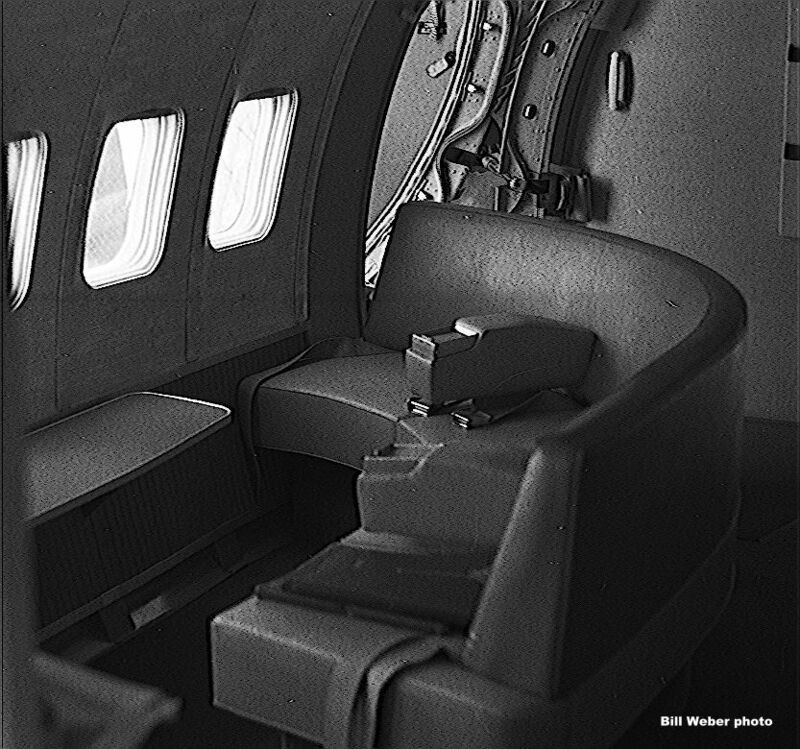 As traffic increased in the 1950s, nine passenger terminals were built in various distinctive architectural styles to handle the larger jet aircraft that entered passenger service beginning in 1958. 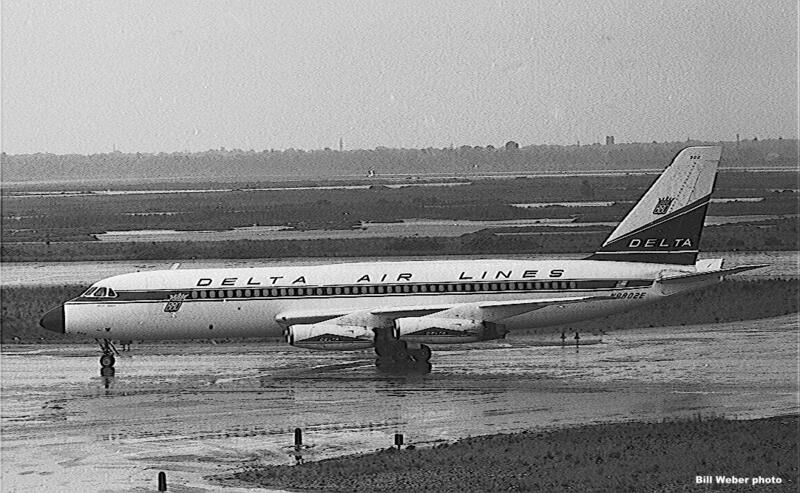 These were the days when New Yorkers would travel out to the airport to watch the new machines, and to dine at the Golden Door restaurant. 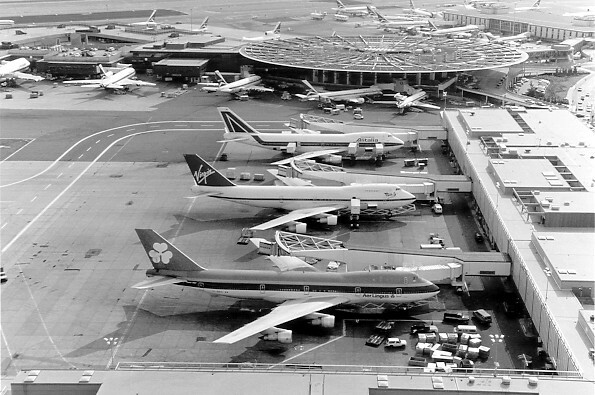 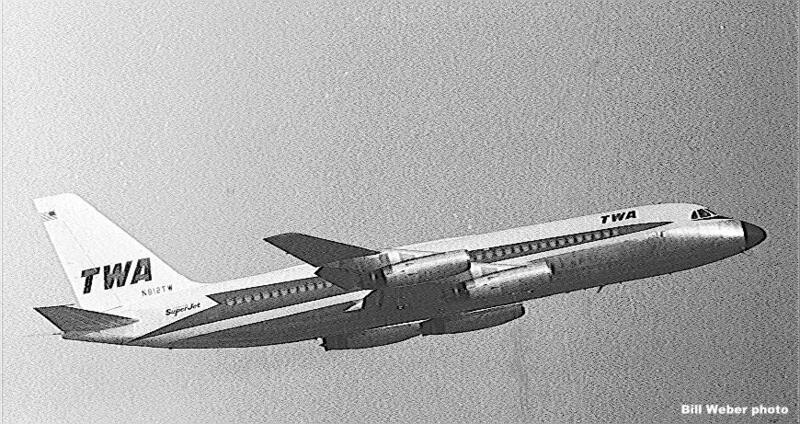 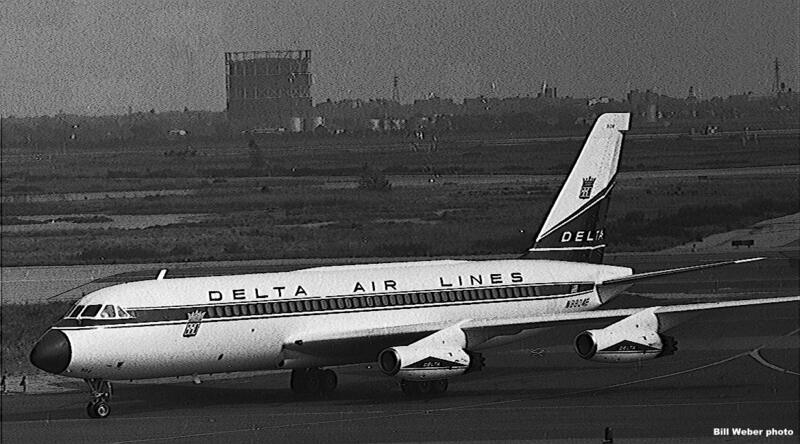 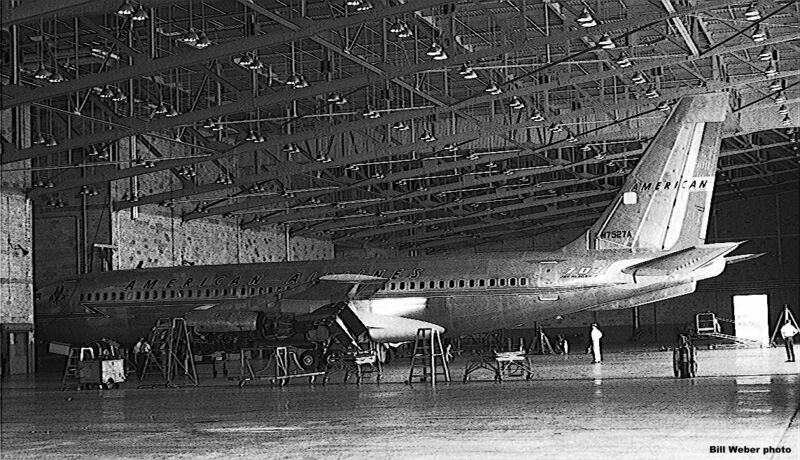 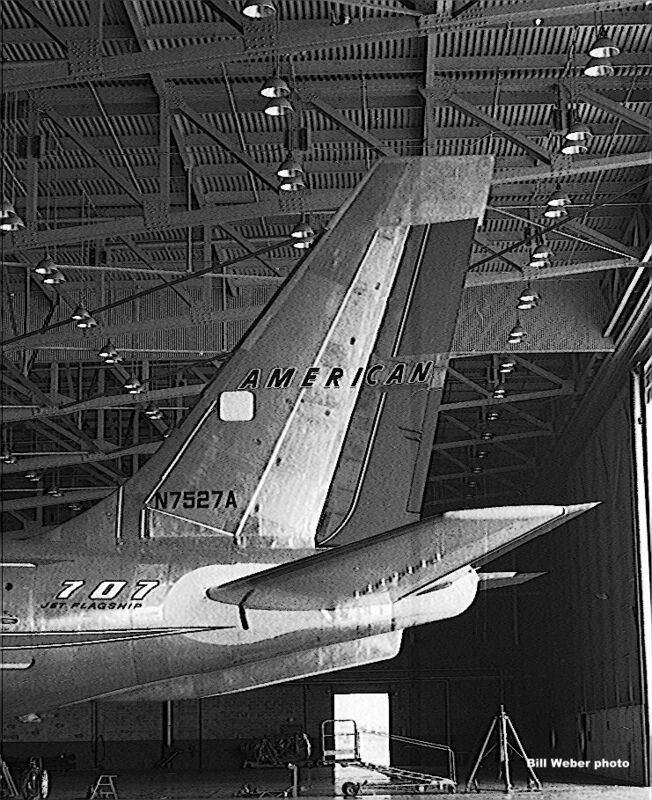 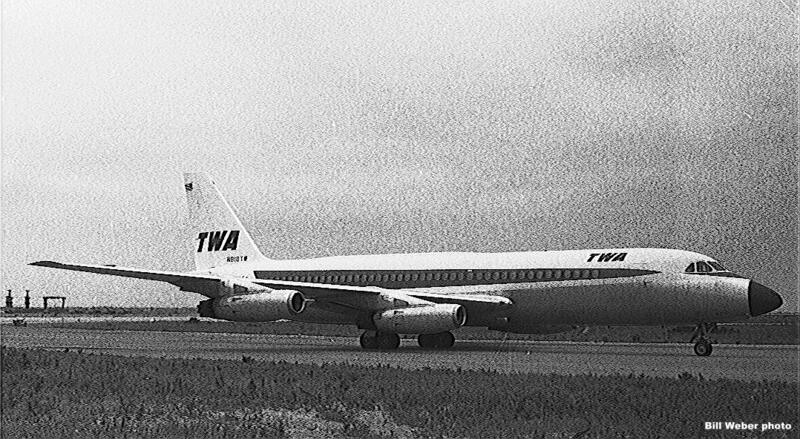 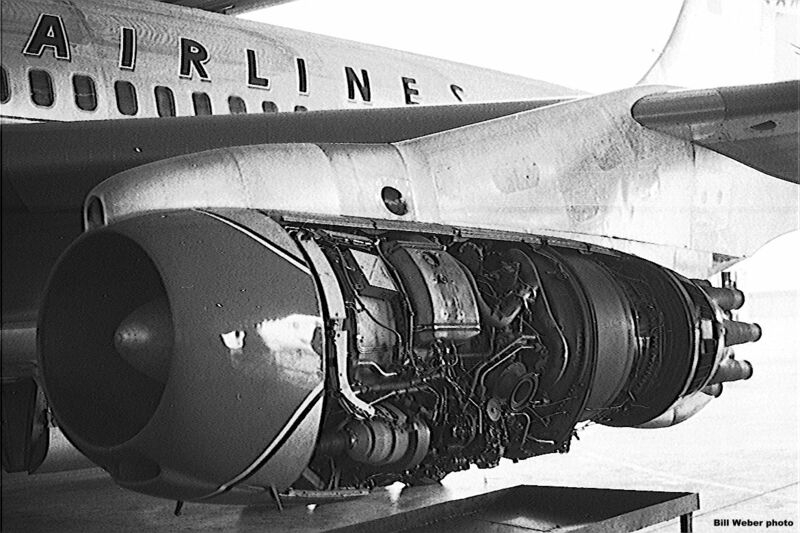 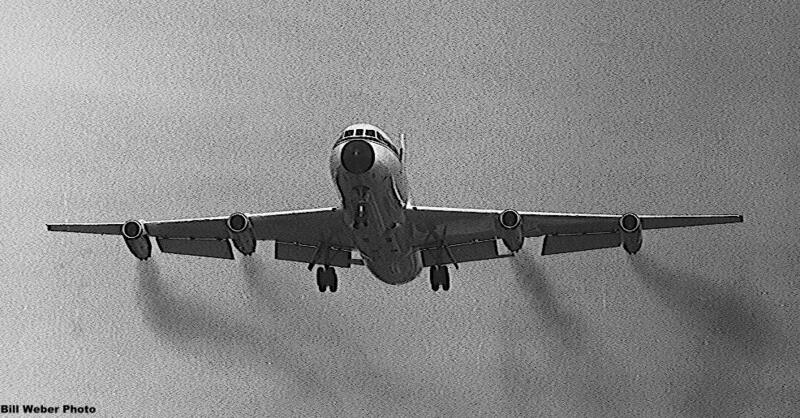 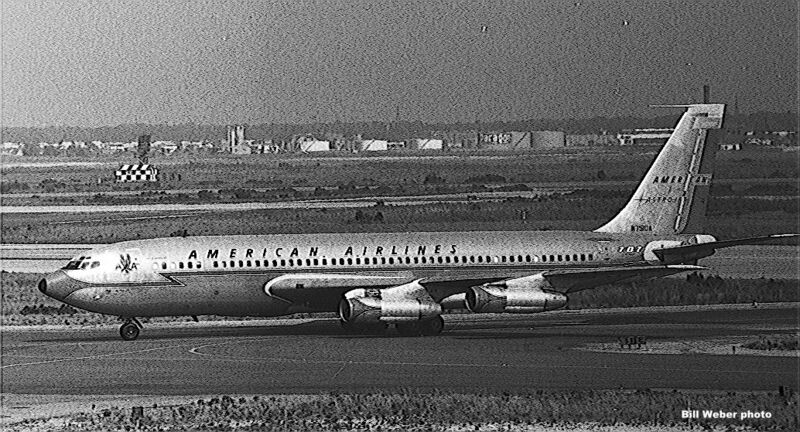 However, dramatic increases in passenger and cargo traffic during the 1960s led to congested conditions at JFK by the time widebody jets were introduced in the early 1970s. 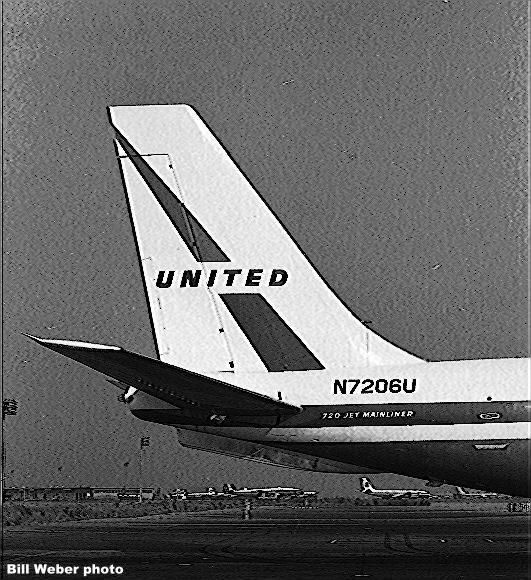 New York�s proportion of international traffic began to decrease as airlines started direct flights between overseas destinations and other U.S. cities. 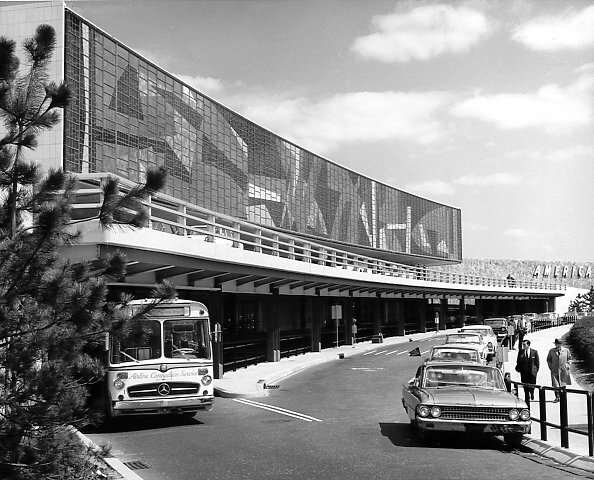 After several false starts, including a mid-1980s Port Authority plan to redevelop the passenger terminal area, the airport is being improved. 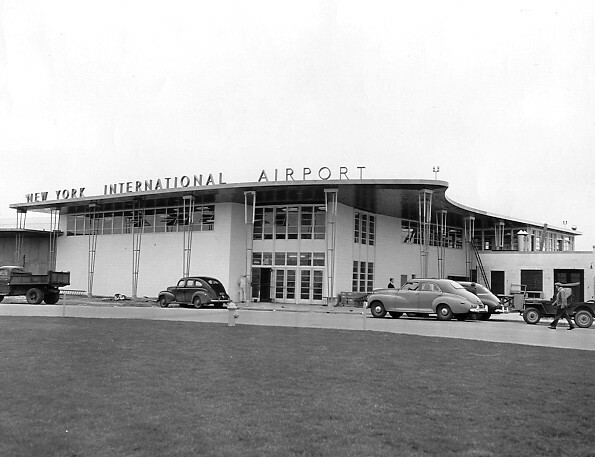 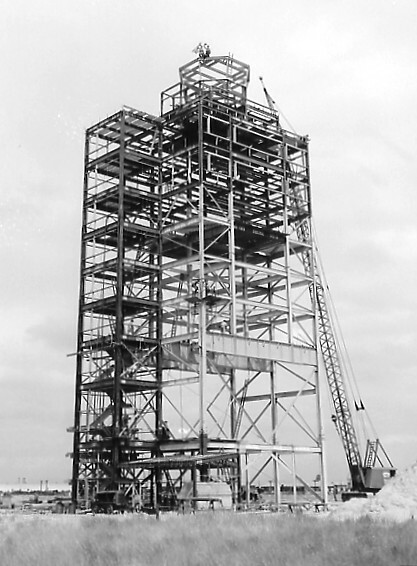 Completed projects include a new 321-foot control tower, improved roads, new Terminal 1 and cargo facilities. 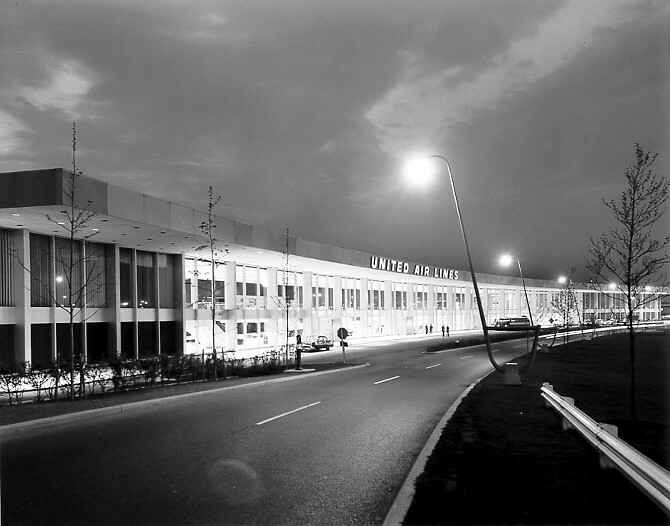 In May 2001 the replacement for the International Arrivals Building, Terminal 4, was dedicated. 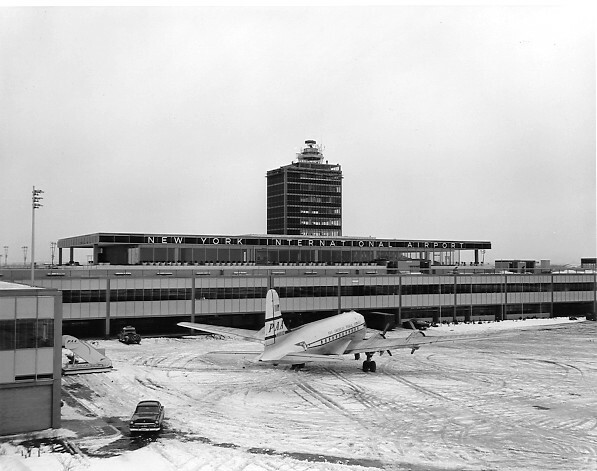 The airport's new automated rail system, "Airtrain", opened in December 2003. 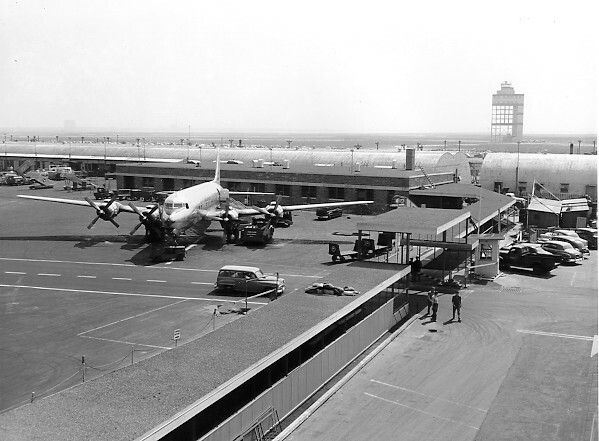 American Airlines built and is now using a new Terminal 8, replacing the classic American and United terminals. 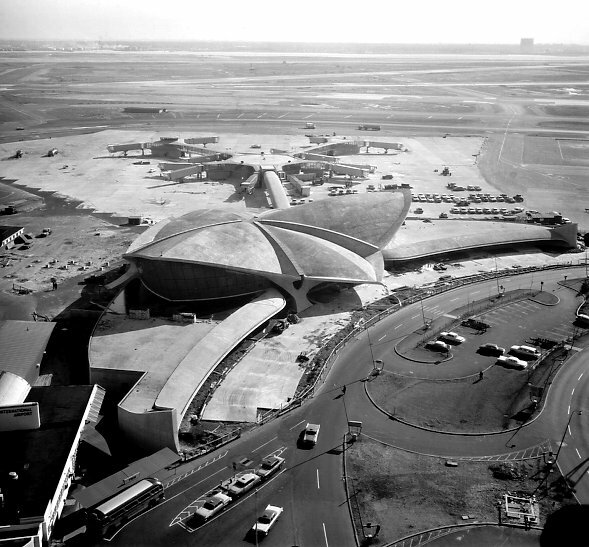 And in October 2008, JetBlue opened up its new Terminal 5, located behind the classic TWA Flight Center. 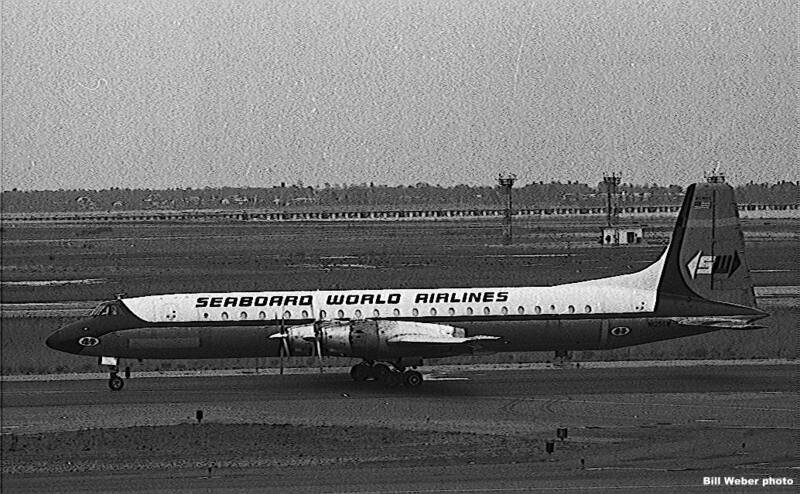 For the full story of this project, see "JetBlue Takes 5 at JFK" in the January/February 2009 issue of Airliners magazine. 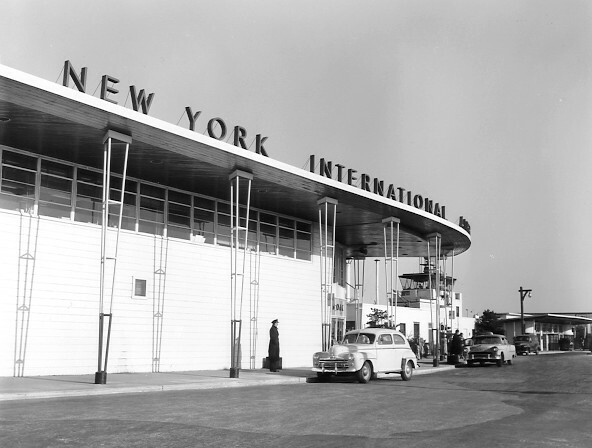 Below are links to historic Idlewild/JFK Photographs from the files of The Port Authority of New York & New Jersey and the files of Bill Weber. 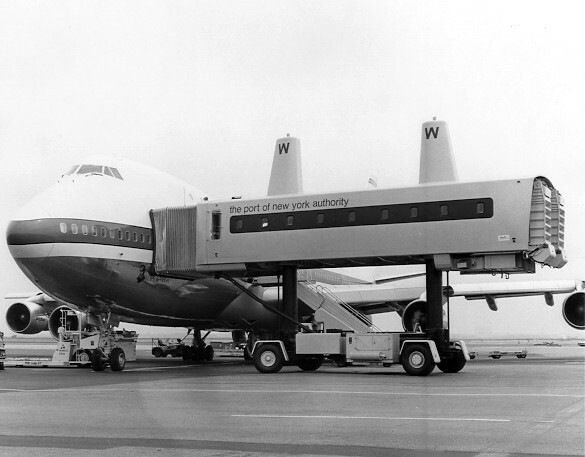 This page is not affiliated with or sponsored by The Port Authority of New York & New Jersey. 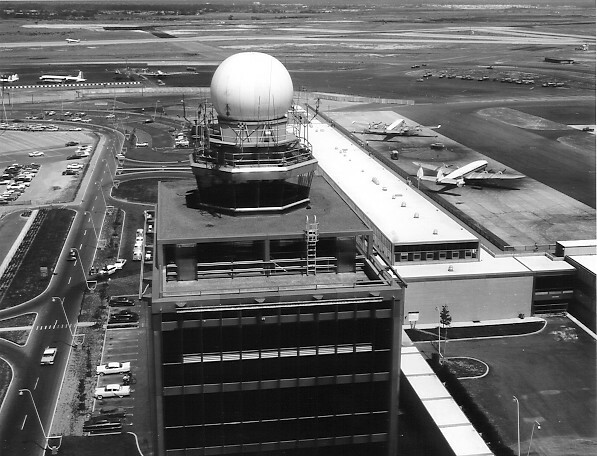 Click here for the PANYNJ site. 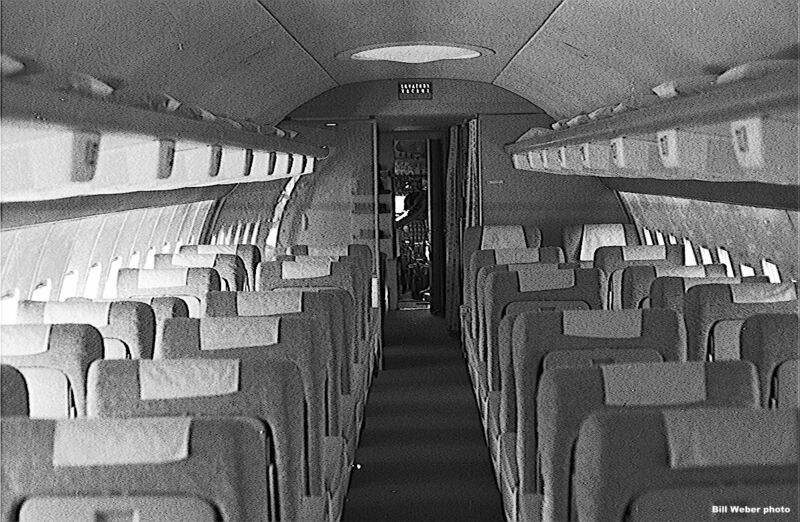 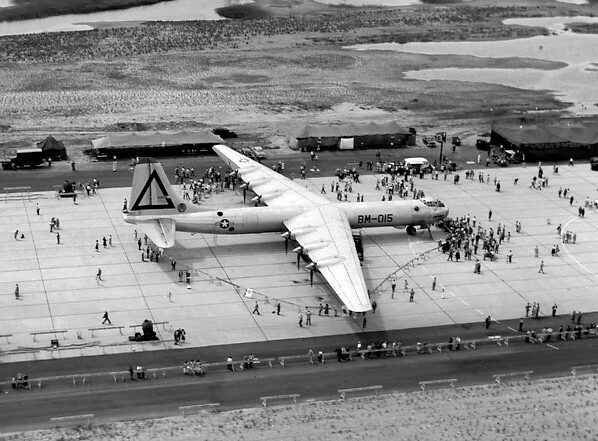 View the photos by Bill Hough on Airliners.net! 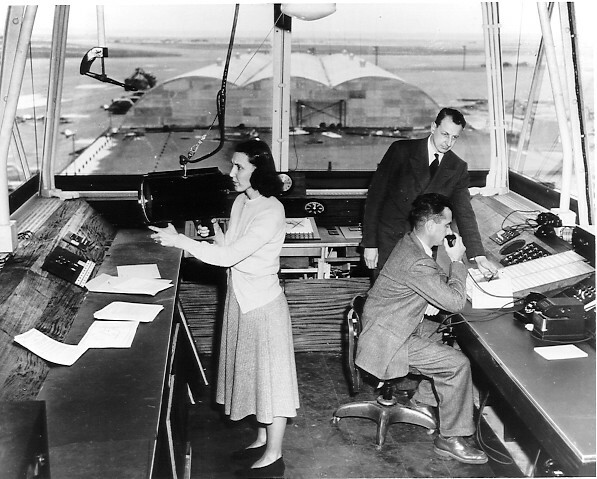 Click here to read about the author of this page. 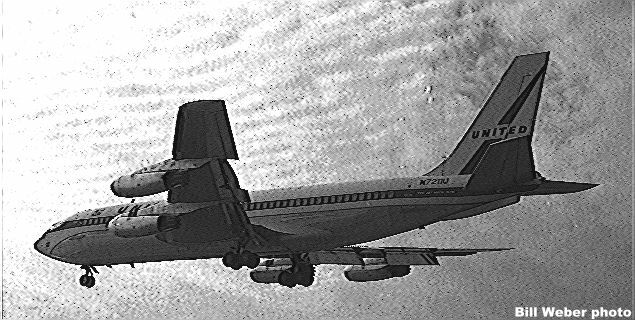 Pan Am B377 Stratocruiser "Clipper Westward Ho"
Pan Am DC-4 "Clipper Pegasus"